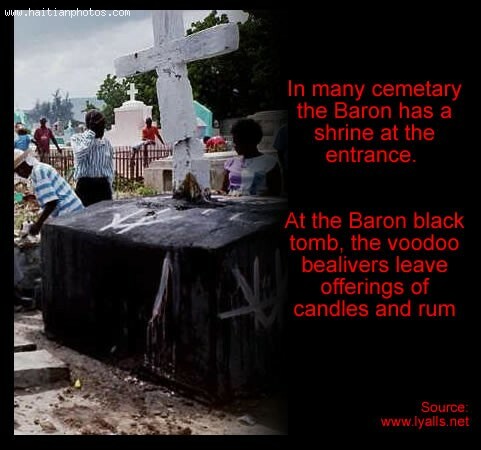 The Haitian belief system of Voodoo is an inherent part of Haiti's cultural ethos. It co-exists alongside the dominant religion of the island, Catholicism, and has even adopted some of its practices. Traditionally, Voodoo has relied on animal sacrifice and percussion-driven dancing to induce deep trance states in order to receive the Lwa. A peripheral phenomenon of Voodoo is the belief in Zombies, the living dead. 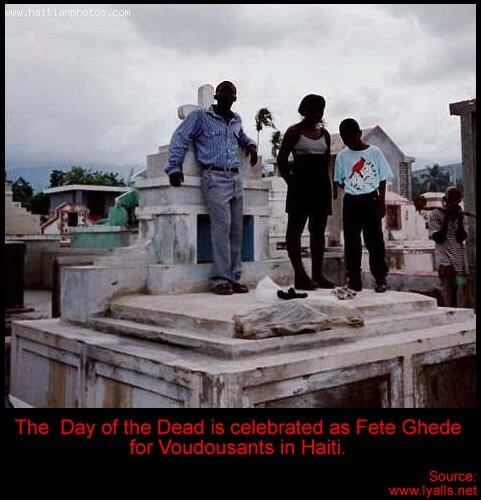 To illustrate how a Zombie is created, Clairvius Narcisse is a prime example of how zombies originated as a cultural force in Haiti. Clairvius Narcisse had been taken for dead around 1960. 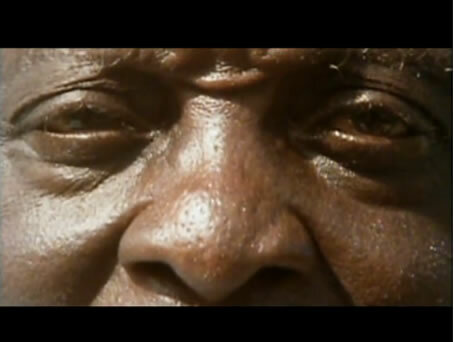 But unbeknownst to his family, a Voodoo priest had transformed Narcisse into a Zombie with the help of potent drugs. The priest exhumed Narcisse's body and in addition to Tetrodotoxin, which put Narcisse into a death-like state, the priest injected Clairvius Narcisse with Jimson weed, a powerful hallucinogen. This impaired Narcisse's brain function. He became a victim of forced labor until the priest died. Regaining his cognitive abilities, he drifted off, returning to his birth place to recount his agonizing experience. 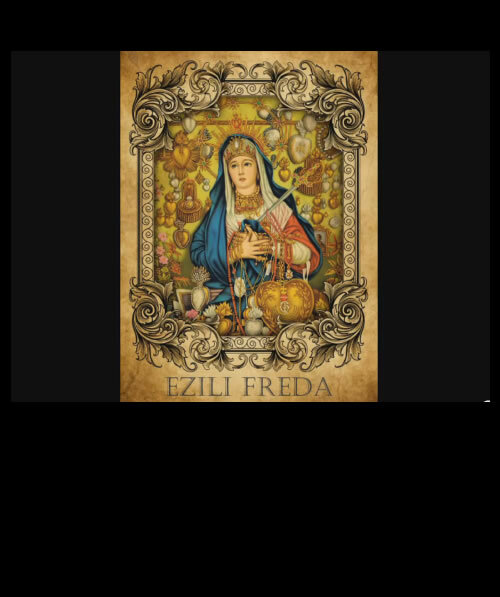 Standing as the rival of the ever fierce mother figure of Ezili Dantor is not an easy place to be, but the beautiful and magical Ezili Freda seems no worse for the position. This Haitian Lwa, known fully as Metres Mambo Ezili Freda Daome, is a love goddess, associated with romance, luck in gambling, luxury, refinement, cleanliness and abundance. Seen as the mistress figure, rather than as a wife, she is always depicted as a fair, white woman wearing three gold rings for each of her Lwa husbands, Danbala, Ogoun Feray and Met Agwe Tawoyo. Haitians flock to leave offerings of cakes, soap, gold jewelry, basil and perfume to the Lwa's most material girl, in hopes she will grant them the quick success in pecuniary matters she is known for. Simbi, the Haitian Voodoo Snake God is a god for the modern world, shedding its skin from the past and unveiling a new and improved, digital persona that allows it to communicate through the Internet. In earlier, less advanced iterations, the Voodoo Lwa, or god, was a sorcerer of great skill, giving service to the secret societies of Sanpwel. 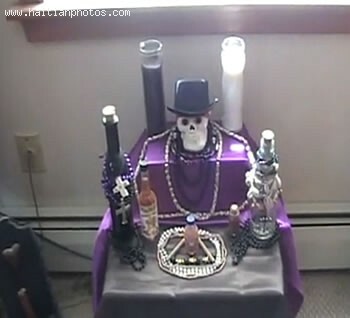 It has also been known in Voodoo as Mercury, the messenger of the sun, Legba. In its capacity as such, Simbi acts as the conduit for creativity and also the carrier of souls from place to place. The Simbi is a serpent that traverses the land of the living as well as the dead. Its more terrestrial counterparts grace from the many and varied snake family of the Loa, found in the Kongo region of West Central Africa. 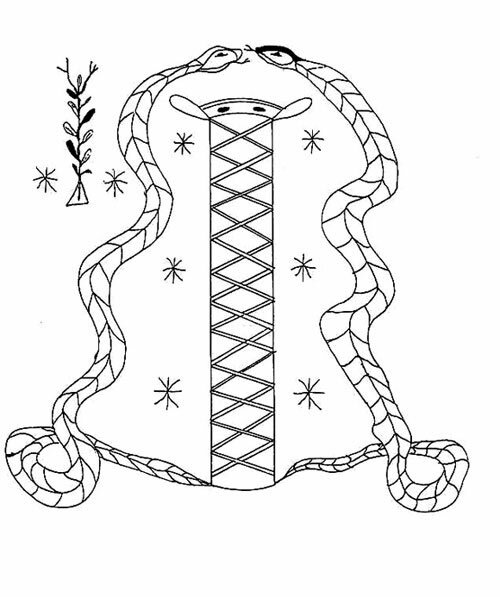 Traditionally associated with water, shown in the names of two types of Loa, the Simbi Dlo or Simbi of the Water, and the Simbi Makaya or Simbi of two waters, the Voodoo culture has ascribed a variety of associations with the serpent, one, Simbi LaFlambeau, even being associated with fire. We have a dilemma in this house, hoping you will help to bring some light. I have a friend of mine, a "typical Haitian" who is extremely religious. The problem is that she has two young children that she would not let them go out on Halloween to do Trick-or-treating in the neighborhood.
" Sa Se Bagay Djab"